BUA Group has further ventured into steel, billets and iron ore importation and the supply of multiple rolling mills in the country. Some years back, BUA acquired Nigerian Oil Mills Limited, the largest edible oil processing company in Nigeria and later set up 2 flour milling plants in Lagos and Kano in 2005. 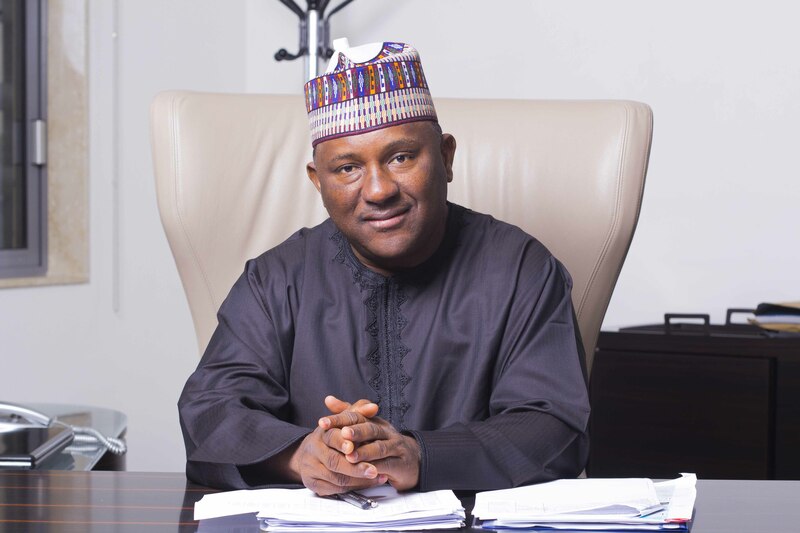 By 2008, BUA broke an eight-year monopoly in the Nigerian sugar industry by commissioning the second largest sugar refinery in sub-Saharan Africa which currently produces 720,000 metric tonnes per annum Its major competitor is the Dangote sugar refinery, which produces 1.4 million metric tonnes per annum. One of the Group’s most recent acquisitions is the Cement Company of Northern Nigeria (CCNN), where it invested $50 million as part of the expansion and upgrade of the company to boost its production output. BUA had earlier acquired a majority stake in Sokoto and Okpella cement companies in a deal worth $100 million. Abdulsamad plans to invest more than $500 million in Nigeria’s economy over the next few years. Q1 Sir; you were born in Kano, had your early education there, before attending Capital University in Columbus, Ohio. Most instructive, you returned to Nigeria in your early 20s to business and before age 30 you established BUA international Limited in Lagos. What are the greatest lessons you learned and how do these multicultural experiences affect the way you work? My knowledge and experiences in business only gives me the passion to do what I do to consistently improve the business. We are not only helping to grow the Nigerian economy, but also touching lives, I think what is really important is to do things right, to work hard for your company and for the people around you. Q2 Some would say that with little or no business experience you took over the affairs of your father’s business at a young age. What initial challenges did you face? It was not planned. Rather, I was thrown in at the deep end; my father was incarcerated due to a military coup and I suddenly found myself having to take over his business dealings. The priority in those uncertain times was to make sure the workers were not left in the lurch; they depended on their wages. So it was a significant emotional hurdle that could only be surpassed with a somewhat ruthless businessfocused mind. At a very tender age, I was saddled with so many things, and had to take a lot of important decisions. Trading was quite different then, compared to now. It was very difficult, because access to funding and foreign exchange were both very challenging. However, it was also quite lucrative as not many companies were able to compete. Our participation at that time assisted us in starting our current manufacturing concerns. So I would say the initial challenges eventually morphed into a launching pad for BUA International. Q3 What is now the BUA Group was first established as BUA International Limited. How has the Group evolved since then? We made our initial venture into business in 1988. When the company started, we focused on import and export, but later we moved into flour milling, sugar refining, ports management, real estate development, and cement manufacturing. In 2008 we bought a majority stake in the publicly listed Cement Company of Northern Nigeria (CCNN), which had an old plant that we took over and optimized. We also bought the 500,000 tons per annum Edo Cement Company and developed a 3-million tons per annum greenfield Obu plant. In total, we will have around 10 million tons of cement production in the next two years. For agriculture we have sugar plantations and processing facilities; however, Nigeria still imports over 95% of its sugar needs as raw product. We also have the 50,000-ha Bassa sugar plantation, which is by far the biggest in the country. Q4 In 2008, BUA broke an eight-year monopoly in the Nigerian sugar industry by commissioning the second largest sugar refinery in sub-Saharan Africa. As a long-standing, trusted brand in Nigeria. What is it about your personality and skill set that has made the BUA group attain such successful and ambitious strides under your leadership? You would have to ask my colleagues, or those closest to me to get a more detailed answer, but I think it is the values and principles instilled in me by virtue of my upbringing and education. As a matter of principle, I believe in giving people the opportunity to choose from different options. Discerning customers deliberately go for the best, as opposed to just what is available. This simple premise is what I keyed into, ensuring BUA products bring not only choice but also enhanced quality to customers. We are not only helping to grow the Nigerian economy, but also touching lives, I think what is really important is to do things right, to work hard for the growth of the company and for the people around you. Q5 By all standards, you have climbed the career ladder very quickly and have a reputation for turning businesses around. What is the greatest risk you took to get where you are today? Through several decades and governments, I have always been faced with a broad spectrum of challenges that fall under unfavorable industrial and economic policies but each year in business has presented a learning curve that I have navigated positively, thanks to my experience in this industry and the excellent contributions of my intelligent team of staff. Q6 What does BUA Group offer in the food and beverage area and how are these product offerings of value to Nigerians? Currently, we are into Sugar Refining in the Food and Beverage sector, which goes back to one of our core values of producing globally standardized products that suit local tastes and budgets. You are sure of getting good value for money spent on any of BUA brand because you are getting the best quality at the best price anywhere on the market. At the moment, we have the sugar refinery in Lagos and another that is soon-to-be-commissioned in Port Harcourt; the vegetable oil processing mills and the cement projects. We recently sold our Flour and Pasta plants and are also currently producing cement at our 3 million metric tons per annum cement plant in Obu, Okpella Edo State. Q7 As you have just noted, in January 2016 BUA sold its flour business to Olam International of Singapore for $275 million, this came as a surprise to the industry. What other difficulties is BUA Group facing at the moment, if any? Actually I would not rank the sale as arising from difficulty; the more accurate reason is simply a matter of deliberate strategy, which was informed by our propensity to always predict shifts in our operating terrains. Over the past few years we are purposely scaling our businesses to enable the effective sourcing of 90% of raw materials locally. So for instance, with sugar, we now have new plantations that will provide the necessary sugarcane as well as the facilities for standardized processing and packaging. Therefore, the money from the sale is being reinvested in new business that have the potential to directly boost Nigeria’s forex earnings via exports. Far from being a challenge, this is more of a strategic move to reduce any overdependence on forex; nothing more nothing less. If you are not importing with forex, the money is instead ploughed back into saving production costs and improving quality, with the serendipity of strengthening the local economy. Asides from that, we so indeed face difficulties, and have some challenges peculiar to some other manufacturing companies in Nigeria. For instance, various government agencies are spending huge sums of money on key infrastructure to attract fresh foreign investment, despite the progress recorded; energy issues remain a drain on growth. Also, one of the major problems we have today is irregular supply of Low Pour Fuel Oils (LPFO), which is the main energy used by our cement company in northern Nigeria – the Cement Company of Northern Nigeria (CCNN). Since August 2014, the Kaduna Refinery has not supplied LPFO; hence we had to rely on other sources, mostly importers. Supply from other refineries is also epileptic. The company had to, at intermittent periods during the last quarter of 2015, shut down plants due to scarcity and cost of energy. This is why a group of our size must remain amenable to diversification, to guarantee viability where it matters most: the bottom line. ALSO READ World Finance- First Bank: Feeding Nigeria’s 200 million people will be huge business. This is the first I have heard of such a list – the rescuing of Nigeria from recession. It does exist, sir and my main point is: do you specifically have a plan in this regard by any chance? The growing challenge for most FMCG markets such as ours in Nigeria is sourcing foreign exchange. With the price of crude oil coming down and the demand for foreign exchange going up, we made a strategic decision to venture into businesses where the sourcing or utilization of foreign exchange is less, to reduce the burden on the fiscal system whilst retaining and creating badly needed jobs locally. We have specifically chosen to diversify our business further, and stimulate the Nigerian economy. At a time when many firms in the sector are retrenching, we are hiring, because we have made savings in forex and due to our fixation on remaining a local workforce capable of bringing global quality products to the market. Q9 BUA Group has witnessed a huge growth since its establishment in 1988, what do you think is the reason for this and do you think we will continue to see year on year growth? Nigeria is a motley of exciting and perplexing markets; that means a lot of opportunities with adequate resources and a huge market for investors. We therefore appreciate every policy, every work being undertaken by government to reduce the challenges of doing business in Nigeria. I welcome the decision to involve the private sector in ensuring that all legal and regulatory frameworks are effectively in place. We operate with the mindset that business will always be daunting, but rewarding, and growth can only be achieved by matching and surpassing existing quality, even if that means besting your own records. Despite the challenging business environment, we have witnessed huge growth within the group since inception due to our determination to consistently produce quality products for the Nigerian market and continuous expansion of our production capacities to create or meet market demands where applicable. Q10 What is your take on the Federal Government drive to encourage Nigerians to purchase made in Nigeria products? I am impressed with the Nigerian government moves to encourage made in Nigeria products. It is expected to improve business for the manufacturing sector of the economy. The private sector should in turn ensure that product quality remains sacrosanct and uncompromised. 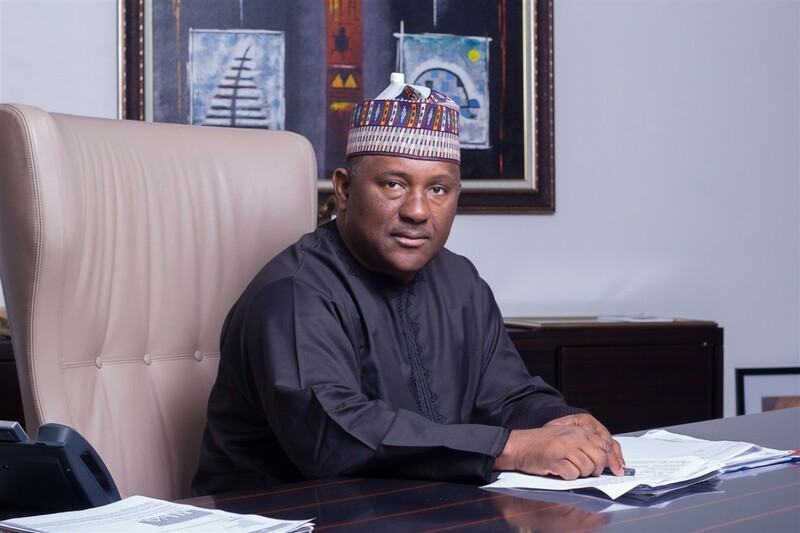 Q11 BUA Cement, owns and operates Nigeria’s first floating cement terminal and recently signed a contract with China’s Sinoma International Engineering Co. to double its capacity. What is the next step for BUA Group? We will consistently increase our production capacities in all our production plants to meet market demand for our products. We are also pushing a backward integration program on sugar, which will see us invest heavily in the short-term in bringing our sugar plantations fully on stream. We currently have about 75,000 ha of farmland, which we intend to dedicate to this. We believe this will further reduce the country’s dependence on imported raw sugar while supporting the value chain in sugar production within Nigeria. We are also working on several infrastructure development projects in view of Nigeria’s huge infrastructural deficit and the commitment of the new government to closing that gap. We expect to almost double our cement production within the next 18 to 36 months. Q12 What would you regard as the greatest achievement/breakthrough BUA group has had in recent years? That would be the establishment of BUA’s 3million mt production cement plant in Edo State. So far, this is one of our greatest achievements but we hope to exceed this as we currently have so many plans for more business breakthrough with more factory expansion and new projects in progress across Africa. We are in talks to build a new integrated steel plant in Nigeria. Q13 You more than anyone else know manufacturing is a cut-throat industry. What step is BUA group taking or plans to take to maintain its growth and efficiency? I do not see business, businesses or my peers—I mean businessmen and women— as cut-throat. I choose to see the field as an open market, as an equal opportunity employer that will remain favorable to those who are willing to work, negotiate fairly with the staff and customers they we are privileged to have. So we remain primarily focused on consistently increasing capacity in all our production plants and are also pushing a backward integration program on sugar, which will see us invest heavily in the short-term in bringing our sugar plantations fully on stream. We currently have about 75,000 hectares of farmland, which we intend to dedicate to this. We believe this will further reduce the country’s dependence on imported raw sugar while supporting the value chain in sugar production within Nigeria. We are also working on several infrastructure development projects in view of Nigeria’s huge infrastructural deficit and the commitment of the new government to closing that gap. Most crucial to our growth is that we expect to almost double our cement production within the next 18 to 36 months. Q14 Do you have any interesting predictions regarding the market for 2017? And what is your take on Nigeria remaining a world-class hub for Brands in Africa, given the current fall in the value of the Naira? Nigeria is the most populous country in Africa with around 170 million people. That means a lot of opportunities with adequate resources and a huge market. Apart from investment in the oil sector of the economy, there are other resources in Nigeria that could definitely contribute more to the economy. Nigeria is a challenging environment but the returns are high. A good idea will always be a good idea, no matter where you are.